Home / 7-Aside Football Field / Chelsea FC Soccer School / First Tribeca Football Festival / James / Landco Pacific Corporation / Muntinlupa City / Phil / philippines / Tribeca Private Residences / Younghusband / Catch Tribeca Football Fest with Landco and the Younghusbands! Catch Tribeca Football Fest with Landco and the Younghusbands! Summer is indeed more fun in the Philippines, most specially if you are spending it with two of the country's most in-demand and great athletes! 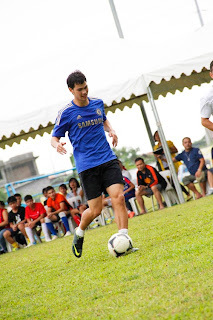 Do I hear girls screaming the names of James and Phil Younghusband? Yes, this coming April 21st, together with leisure real estate developer Landco Pacific Corporation, the school operated by football superstars, Chelsea FC Soccer School Philippines, is about to share one fun and exciting summer! 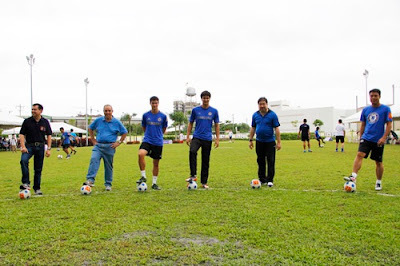 The famed football superstars Phil and James Younghusband are about to make the summer of the growing football fans more active and fun with the launch of the First Tribeca Football Festival on Sunday, April 21st at 7-Aside Football Field, Tribeca Private Residences, Muntinlupa City. The First Tribeca Football Festival is expected to feature 500 football enthusiasts, where winning team will be awarded by the Younghusband brothers along with officials of Landco Pacific Corporation, the developer behind Tribeca Private Residences, and joint venture partner, ATR KimEng Land, Inc. This event is sponsored and supported by Meralco, MVP Sports Foundation, Smart, and PLDT-SME. Tribeca Private Residences is a 9.7 hectare resort condominium development that combines a modern 17-storey condominium tower with lots of open green spaces featuring a 3-hectare Central Park as well as a 1,800 sq. m. Aqua Park. This grand property also provides football players a safe and friendly environment, where they can hone their technical skills and sportsmanship. “Tribeca is very proud to be the home of the Chelsea FC Soccer School in the Philippines. 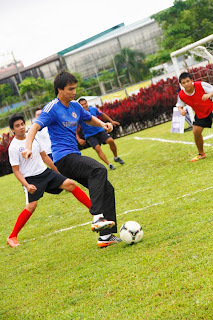 As such, Landco is able to support our budding and very talented Filipino football players. 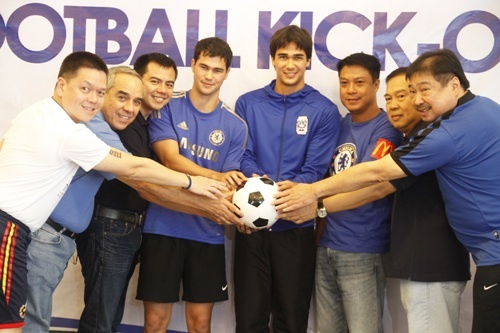 Phil and James are to be commended for their generosity in doing their part in helping the country develop world-class soccer players," explained Alfred Xerez-Burgos III, President and CEO, Landco Pacific Corp.
For more information about Tribeca Private Residences and how to enroll in The Chelsea FC Soccer School, please call 842-8000. See you all there this Sunday! Happy summer!